Gardening by kids? A lot of emphases has been placed on gardening in schools. This blog shows incredible proofs why gardening is great for children. 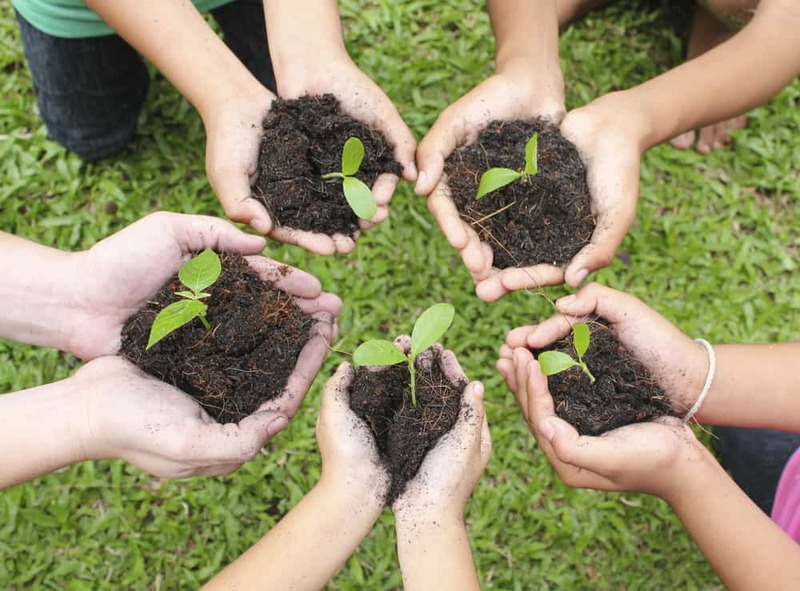 In recent years, gardening with children in schools has become more and more popular. But does taking kids outside and getting them involved to gardening activities really benefit them? 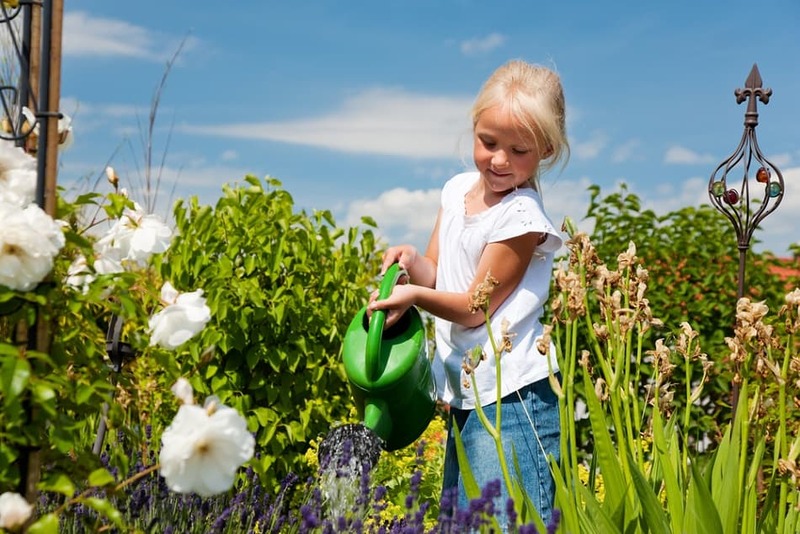 Here are eleven very good reasons why gardening is great for your children. 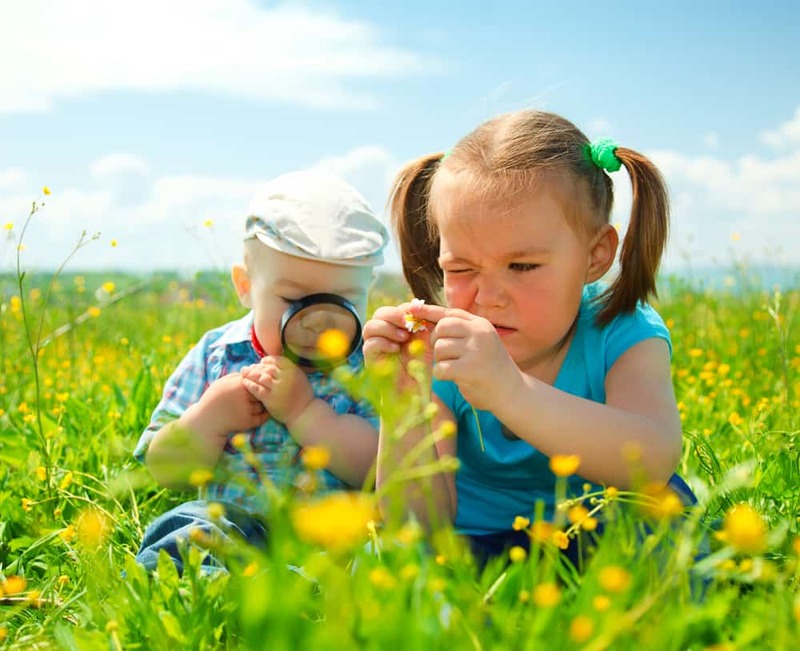 Kids are naturally inquisitive and with the power of their imagination, everything they will see, hear, smell and feel in a garden will open a whole new world of learning to their young minds. The same set of cognitive benefits they could get when playing in their fancy wendy house or playing outdoor games with friends—gardening can even double. 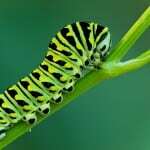 Their interests are captured in recognizing and naming vegetables, fruits and flowers and in getting acquainted with the various insects and living creatures in the soil or on plants. Being exposed to these natural elements also allows them to observe their surroundings and get to know more about nature in detail, most notably when they are allowed to explore with less restriction. Gardening then provides children a practical yet enriching hands-on experience that cannot be otherwise learned in a classroom. In a study by the Royal Horticultural Society, it was found that gardening increases children’s alertness and concentration levels. The changeable nature of gardening, from the effect of varying weathers to the onset of a plant disease, forces children to think on their feet and solve problems. 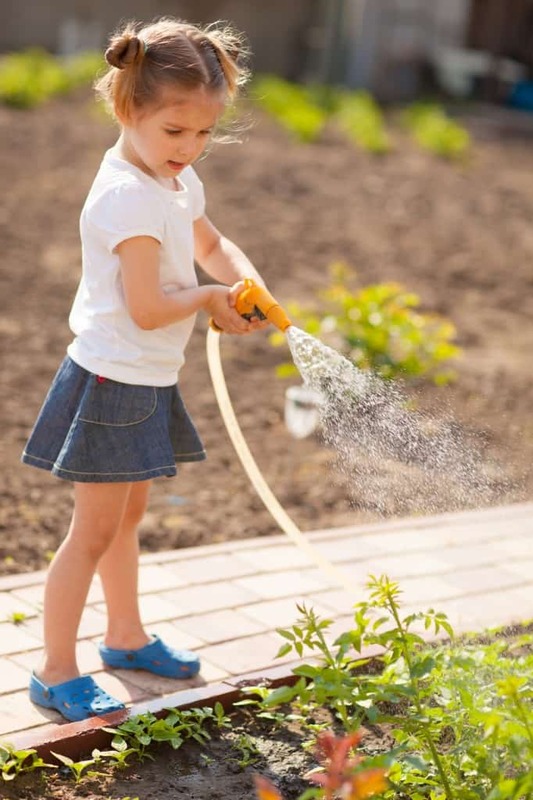 Being able to react to changes and deal with them, either in a practical or creative way, are some of the many things that children unknowingly adopt from gardening. To a greater extent, these valuable skills can be transferred into their daily lives until their future working selves. 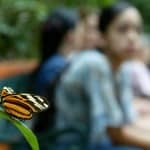 With the obvious reward of learning new species and natural processes, children become more and more active in seeking knowledge and taking control of their own learning. Studies also show that children who spend more time in the gardens or green spaces perform better in classroom studies and scores high on tests. These results are not limited to science classes but extends to numerical, literary, and a wide range of other subjects. The love of learning nurtured from gardening also allows children to translate a dry academic subject into practical, real-world experience. Growing food in the school or home garden supports a positive change in the eating habits of children. When they understand how vegetables and fruits come into being and into their plates, they would be happier and more willing to eat it and appreciate good food in general. It’s a perfect way to get your kids on the path to a healthy diet. 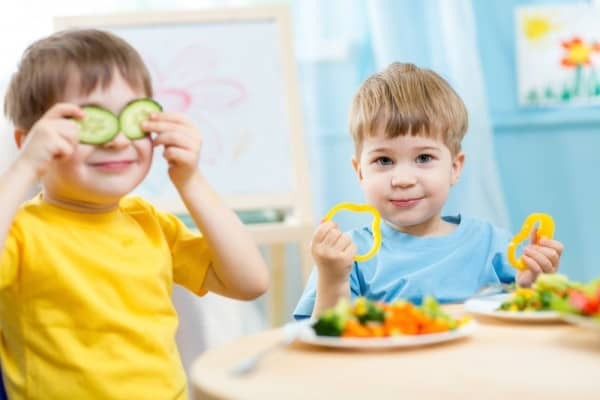 Gardening then may be the closest and most effective solution to fussy eaters. Not only will they learn the many things that come into play for a fresh food to grow, but see the benefits that these natural foods provide to their bodies. They will almost certainly enjoy eating their own produce, too. Knowing plants and the processes that go through them allow children to appreciate the green surroundings and nature as a whole. They get to learn about sustainability and their responsibility to the environment whey they are given this chance to discover and experience the outdoor environment in a pleasant way. But the greatest reward in having to cultivate love for nature at their age is that that love and respect almost certainly lasts to adulthood, giving nature a good hope to betterment because of this new generation of garden enthusiasts. 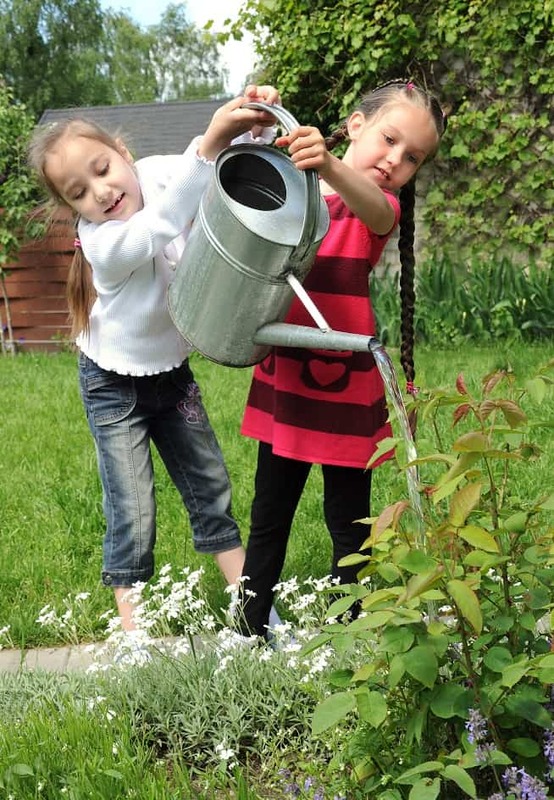 Gardening helps children to learn and experience valuable life lessons at their young age. Patience is one of these virtues developed as they eagerly wait for their vegetables and crops to grow. While having fun in digging and getting dirty, children learn to be responsible and mindful in putting the necessary care to the garden. 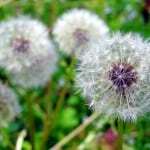 Plants that may have been diseased or killed by weeds teaches a child that some things just don’t work out, and that the best thing to do is to replant and try again. Even the loss felt when flowers die or go out of season is a valuable and important lesson that is learnt in a light-hearted way through gardening. Teachers conducting gardening hands-on activities for pupils often report dramatic improvements in behaviour, greater confidence and improved self-esteem even among children with a history of disruptive behaviour. Self-confidence is developed when their goals are achieved such as being able to successfully grow a plant or a whole garden. It also gives them a sense of pride in their accomplishment. Community gardening and gardening in schools are great opportunities for kids to meet and interact with different children in a fun and healthy way. 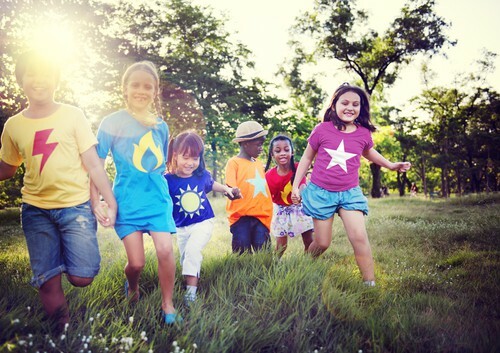 By having a common goal to grow and flourish a garden, children’s ability to communicate with their peers and to work in groups are greatly exercised. It also creates positive feelings towards other children as gardening provides a shared play and work. 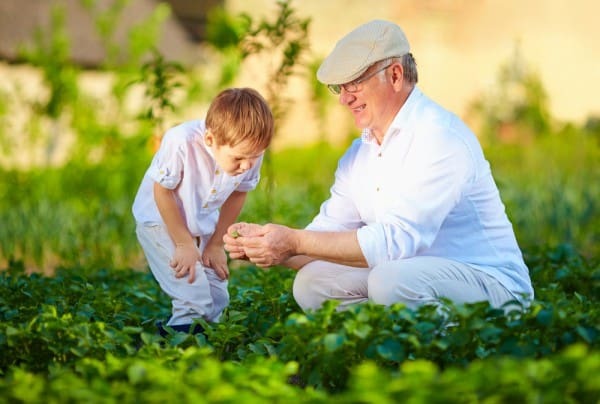 In life, your child will meet different people and that ability to make friends and interact with people from different backgrounds are among the skills learned from gardening. Looking after a communal vegetable patch or flower bed awakens a sense of responsibility and teamwork among children. Being aware of their responsibility, from ensuring that the plants are watered daily and properly taken care of, increases their motivation to succeed and to put in the effort and teamwork to make things work. Again, this is something that can be taken into the classroom and the workplace. Gardening at school or at home opens a nurturing bond among families. As children share their gardening skills and know-how back home, parents become more involved, not to mention proud, in their kid’s achievements and school life. 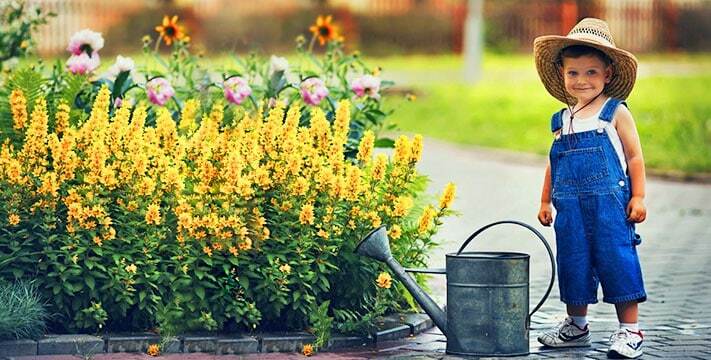 At home, gardening becomes a wonderful and productive family project that is filled with learning and fun. And yes, they will not only enjoy the very act of gardening but also the time they spend with you. 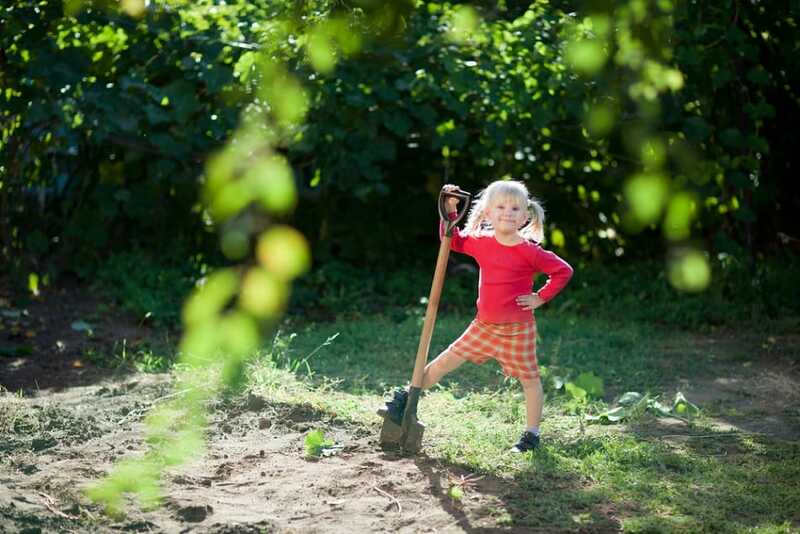 Physical skills, such as coordination and fine motor skills, are also improved when children dig into gardening works. Along with growing their own plant, children’s young bodies are stretched and worked out in ways they may not be aware. 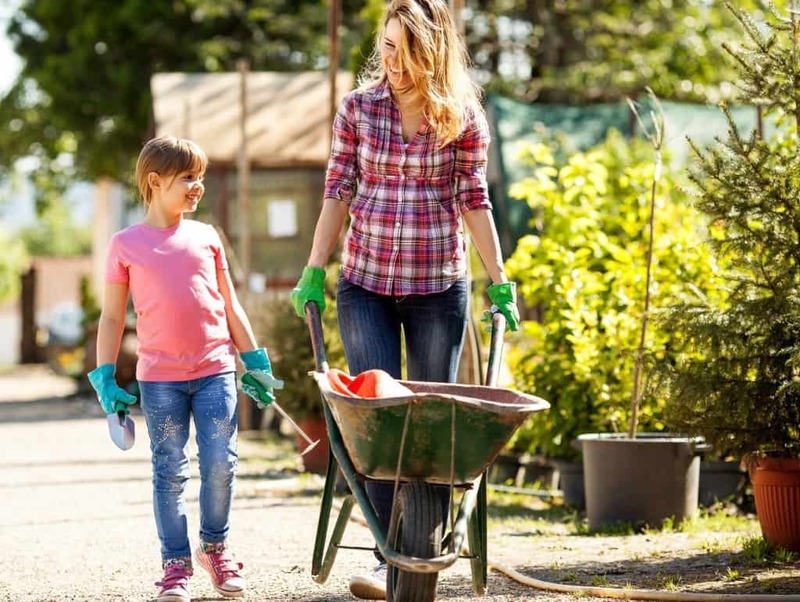 The simple act of pulling weeds, digging soil, carrying watering cans, and placing garden stuff increases physical activity and encourages muscle and bone growth. Bren Haas, owner and author of creative living and gardening blog BGgarden. As a parent I think it is important to surround our children with nature and gardening. 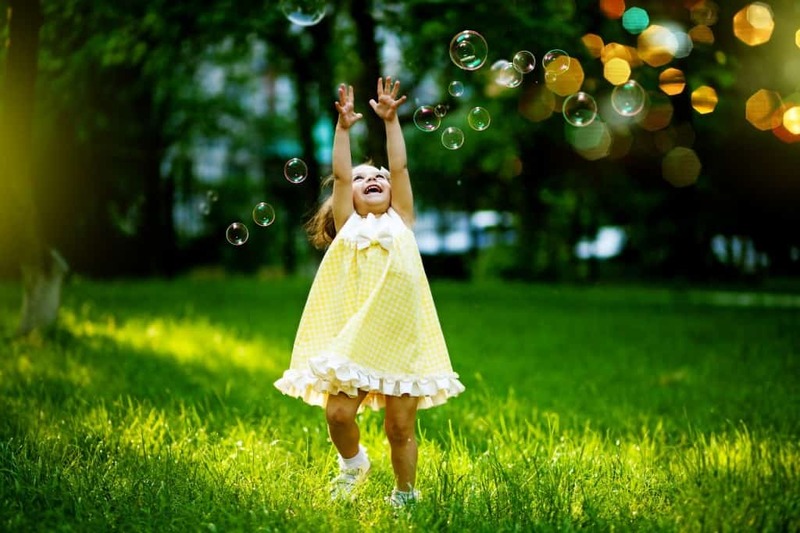 There is nothing more healthier then walking in a park or garden and exploring together. It was part of our daily routine to walk with the newborn in a neighboring park filled with trees. The experience is like a giant hug from mother nature. As my children grew we always had houseplants or containers of herbs growing near by so they could play in the soil and watch things grow. As the children grew so did our home garden. Lia Leendertz, Guardian garden columnist and award-winning author of her own garden blog. “I don’t much bother with getting my kids gardening, but they are around gardening a lot, and so they get to do the fun bits: they might sow a few seeds before wandering off to dig a hole, or they might eat a few peas from the plants and then go and hit things with sticks. How about you? What do you think? Let us know your thoughts by commenting below or sending us a tweet on Twitter!